Granite has long been the go-to countertop material for kitchens and bathrooms. It is a durable material, offering numerous looks and options for a price that is fairly competitive for its quality. Quartz has become another strong option to consider. For a very reasonable price, you can take advantage of the many benefits associated with this countertop material. Quartz countertops are somewhat new, but they have found a dedicated following because of their numerous qualities. Quartz is a manufactured product that is visually appealing. The manufacturing process allows for a range of colors, and the appearance of the finished stone is gorgeous. Read on to learn about the benefits of this countertop option. It is made using natural materials. Quartz is an extremely resilient and durable countertop option. It is a non-porous option. Natural stone absorbs liquids unless it is regularly sealed. Quartz is non-porous, a result of how it is manufactured. That makes it easier to care for the countertop over its lifetime. It can be used in multiple ways. Quartz is so flexible that it can be used for bathtubs, showers, backsplashes, or even accent walls. Although it is heavier than natural stone materials, that added weight gives the product added durability. It comes with options. 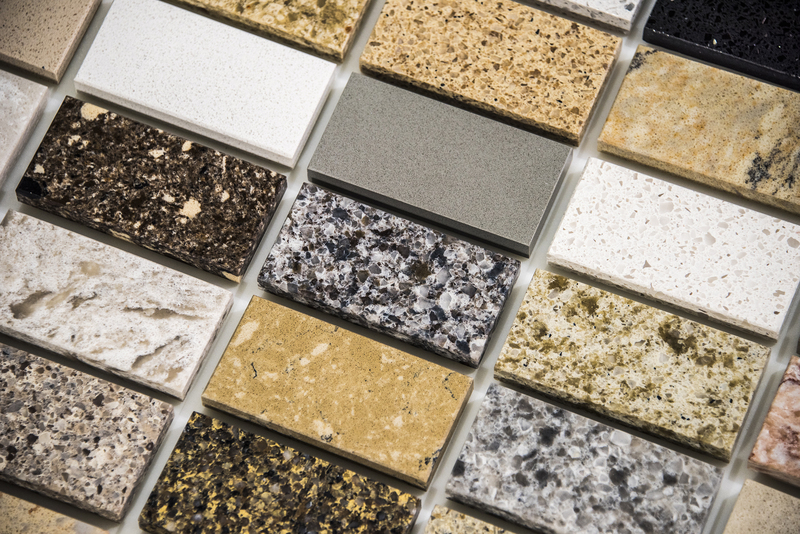 There is a wide variety of colors and styles available when it comes to quartz. At RockSmith Granite & Quartz, we have helped countless home and business owners in the Twin Cities pick out the ideal color and style of quartz countertops for their space. We will help you add great value and beauty to your home or place of business. Request your estimate today. You can contact our company online, by visiting our Apple Valley location or by calling 952-431-7625.